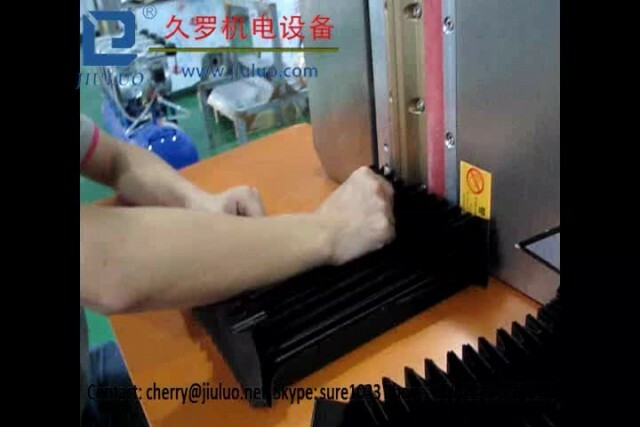 Bellows welding machine JL-600HFL video from Shanghai Jiuluo Mechanical And Electrical Equipment Co.,Ltd. Shanghai Jiuluo Mechanical and Electrical Equipment Co.,Ltd. For the bellow covers manufacturers, through High Frequency, to weld protective bellows more efficiently and perfect than old method, zero glue, zero pollution. 00:57 Bellows welder JL-1100HFL Shanghai Jiuluo Mechanical and Electrical Equipment Co.,Ltd.